Hannover (Germany) will be hosting the forthcoming EMO 2017 trade show, from September 18 to 23. This international machine tool exhibition is promoted by CECIMO (European association of the machine tool industries), which is held alternately every two years in the cities of Hannover and Milan. The focus will be on the wide selection of machine tools now available, capable of attracting users of the main sectors that use metal working systems and, of course, Fagor Automation will have a special place in it. 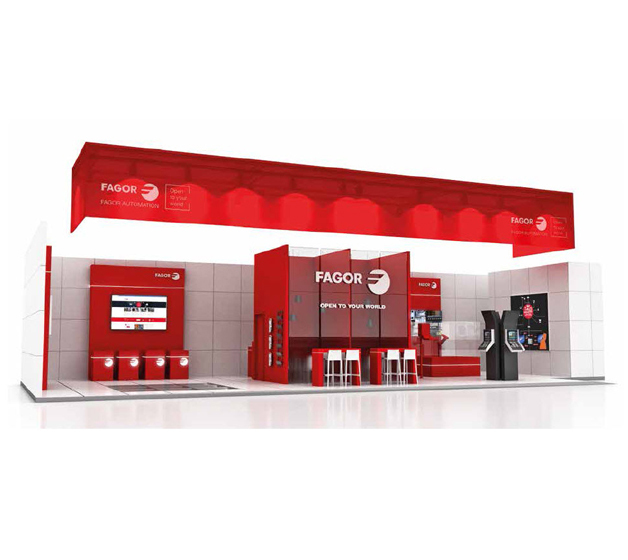 Fagor Automation is a world leader in the design, development and manufacturing of automation products and it will present its latest innovations for CNCs and feedback systems at its 135 m2 booth. One of the jewels of the Fagor Automation stand will be the latest CNC models with 19” and 21” screens and the 15” updated models which are even more compact and powerful. Moreover, the new wireless terminals will also be on exhibit, such as the wireless handwheel with a touch screen. Additionally, the new developments in Industry 4.0 will be showcased, which include a remote sensor system using accelerometers and smart box system for sending data from the CNC to the cloud. Some of these Industry 4.0 developments will be described in more detail during the presentation “Real time data collection and analysis for composite cutting in aerospace industry”, to be delivered by Julio Zurbitu (Marketing manager of CNC). This presentation will be held at the Industry 4.0 Arena, on September 21 at 11:00 am. As for the feedback systems, Fagor Automation will present the Series 2 linear and angular encoders and the range of open linear encoders. The new Series 2 angular encoders attract attention, an outcome of the redesign of the existing lines. Modifications have been made to, altering the bodies of the encoders, as well as to the o-rings, with a new double-flanged design. The result is the minimization of fluid accumulation by facilitating drainage and allowing wider assembly tolerances to achieve greater robustness and protection for work in hostile environments. Furthermore, the offer has been broadened with the latest models of angular encoders, with the inclusion of the 200mm external diameter and 100mm diameter line, as well as the 87mm external diameter and external flange coupling line. The linear range boasts the threaded head option, making the use of nuts unnecessary, regardless of the chosen assembly option.